[Author’s Note: This is Dawn. Nic and I took a two month break from updating this blog. I had a myriad of mental and physical health issues in addition to some family drama that crashed together all at once. The last chapter of this had been half-written for two months, and I was just not well enough to finish the other thousand or so words I had left to write. I hope this personal, non-fiction essay can help shed some light on the personal issues that Nic and I are trying to explore with this series. There is a lot of supernatural silliness at the edges of Orchid, but it’s a fundamentally trans Appalachian narrative from two committed leftist storytellers. This is a look into our actual lives. Orchid began on my 29th birthday. In late February, my partner Nic and I were in the first couple weeks of our cohabitation. Neither of us were in healthy economic circumstances. For my birthday, The only present Nic could afford was dinner. We got (delicious) mall hot dogs. Nic felt bad about the meager celebrations. I tried to assure them that spending my birthday with them was more than enough, but Nic kept asking if there was anything else they could do. I was riding the high of the early glow of our relationship and so I worked up the courage to ask Nic if they wanted to write a story together. 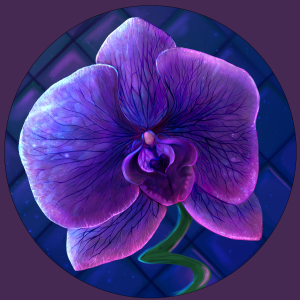 Orchid is a trans/queer-centric urban fantasy serial, and it has been an experiment from the start because it isn’t a conventional serialized tale.